Richard is a veteran actor from such projects as Band of Brothers, Justified, Supernatural, etc., He recently wrote and directed the darkly comedic short film America 101 which screened at over 30 film festivals in North America and Europe before landing domestic and international distribution from Virgin Airlines, Shorts International, and iTunes. On the strength of the short, he signed with New York based commercial production company QuietMan and has since directed multiple spots including several for Pepsi. He recently co-wrote, co-starred in, and directed a web-series pilot for the single camera comedy Kings of Con and is slated to direct the full 10 episode season. 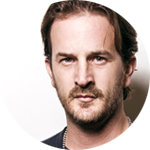 Richard made his network television directing debut on an episode of Warner Brothers’ hit show Supernatural.